The Beauty Clinic is pleased to be able to offer our patients top custom skin care products carefully chosen for their potent active ingredients. These products are stronger and more effective than the products that can be purchased from retail shop (doctor range). We believe that a proper skin care regimen not only helps to keep signs of ageing like wrinkles, fine lines, and volume loss away from your skin, but also helps to prolong the results of your dermatologic treatments. All products listed below are available for purchase in our clinic and we also post them on request. Aderm Skin Care Range specialises in pigmentation problems and anti-ageing. Super potent, non-irritating ingredients are the latest in home skin care and the formulas Aderm uses deliver fast, excellent results. Combination of peptides, plant extracts for lightening pigmentation, hyaluronic acid and enzymes to mention few, work extremely well with your skins ability to function. The help you repair damage, grow healthy collagen, clear pigmentation and smooth lines. This deep pore cleanser prepares the skin for maximum penetration of active ingredients. Dual action formula, a cleanser and toner in one product. Great as shaving medium -will prevent ingrown hairs. The active ingredients help rid skin of bacteria and dirt, keeping skin’s moisture barrier intact. 100% paraben and fragrance free. A Mixture of anti-bacterial and exfoliating acids. Oligopeptide-10 allows the use of just 0.5% of salicylic acid. Excellent for resurfacing damaged skin. Outstanding for sun damaged and acne prone skins. Comes in a jar of 60 pads. 100% paraben and fragrance free. Dual action brightening weekly peel. This mini-peel for home use will accelerate the effects of your home care program and keep up the results of your in-clinic treatments. Powerful resurfacing action for sun damaged and pigmented skin or use to reduce acne breakouts.100% paraben and fragrance free. An oil-free gel to correct melasma/hyperpigmentation faster and with longer lasting results. For small spot areas or all over resistant, stubborn melanin. Booster for pigmentation that has reached plateau effect or not responding to treatment.3-7 times/week p.m. For best results, combine with Aderm Pigment Perfecting Cream. 100% paraben and fragrance free. Powerful treatment for hyperpigmentation and uneven skin tone. Inhibits the activity of tyrosinase reducing melanin production and melanin transfer to the surface of the skin. Powerful antioxidants keep the skin healthy.Suitable for all skin types and colours. Especially for melasma. 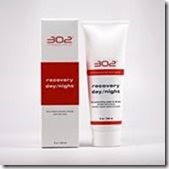 Team up with Corrective Recovery Serum. 100% paraben and fragrance free. A unique combination of Kojic dipalmitate, Vitamin C and Lactic Acid will brighten skin along complimentary pathways. Inhibits melaning formation, fights pigment spots and general pigmentation disorders. Excellent for increasing collagen production, hydration and elasticity. Normalizes sebum production. Great for sun damaged skin. 100% parabe and fragrance free. Combination of Niacinamide with barrier enchancing lipids in an elegant lotion. Great at improving appearance of photo-ageing and pigmentation. Ceramides, fatty acids and cholesterol help enchace the skin’s natural barrier. Suitable for all skin types and colors. 100% paraben and fragrance free. Advanced formula combining highest levels of DNA repairing enzymes and antioxidants to prevent ageing such as age spots, wrinkles and loss of tone. Anti-ageing moisturizer with wrinkle reducing peptides, skin firming polysaccharides and rejuvenating seaweed extracts. Great for normal to dry skin and mature, ageing skin. 100% paraben and fragrance free. Containing the famous Matrixyl3000 Peptide Complex, this hyaluronate based serum can firm the skin up to 35% within 8 weeks and improve appearance of fine lines and wrinkles. Powerful vitamins and antioxidants improve your skins ability to function better. Excellent hydrator for all skin types. 100% paraben free. Silky, fast absorbing hydrator that will replenish the skins natural moisture barrier. Squalane heals and repairs, ceramides, fatty acids and cholesterol repair and maintaing the natural barrier of the skin.Prevents excessive water loss. Excellent for dry, flaky, distressed or sensitive skin. 100% paraben and fragrance free. Ultra light,non-oily, antioxidant rich broad spectrum sun protection. Non-comedonic, suitable for all skin types. Physical block of zinc and titanium dioxide. All botanicals, no harmfull chemicals or fragrance. This elegant suspension of retinol softens and heals the skin. Base of botanical hyaluronic acid, kosher glycerine and aloe vera make this a great hydrator.Excellent for sun damaged, ageing and pigmented skin and a treatment for acne. 100% fragrance and paraben free. 302 Skin Care range delivers active ingredients in correct concentrations to ensure excellent anti-ageing results. 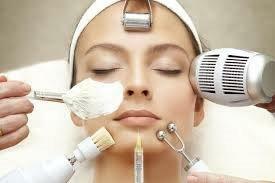 They improve the results of the in-clinic treatments and maintain youthful and healthy skin. 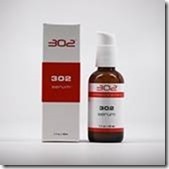 302 is a must for anyone having sensitive/distressed skin or anyone with allergies or continuing abnormal skin conditions. 302 Drops/Serum: Naturally derived, chemical free, self-preserved, oil-free topical formulated around the rainforest discovery ingredient Avogen™. Avogen™ moisturizes and normalizes troubled and aging skin. 302 Plus Drops/Serum: Peptides, niacin, 302, vitamin C, urea – a powerful formula that works outside the box but really gets the job done – instant skin smoothing and bright, sustainable morphologic changes to the skin that leave it plump, resilient and clear. This is the product of choice for those who want pure simplicity. Combine with Clarity for an exceptional regime. 302 Acne Drops: An all natural clear lipid vehicle of non-comedogenic, hypo-allergenic avocado phyto-lipids and organic jojoba oil combined with the 302 compound in a unique formula that helps stabilize and renormalize the look of skin inflamed by acneic rash. Provides visible relief and moisturizing to irritated, acne troubled skin. 302 Rosacea Drops: Calms, softens, moisturizes and normalizes the appearance of troubled rosacea and cuperose prone skin and stabilizes sebaceous cells. Rapidly rebuilds weak epidermis depleted by inflammation. Helps to normalize and calm the appearance of inflamed and bacteria susceptible skin. A-Boost: An all natural clear lipid, preservative free formula incorporating acid-free and stable forms of Vitamin A. Great for smoothing skin, clearing congestion and occasional breakouts, and reducing age spots and uneven pigmentation. Recommended for Aging, Acne, and Pigmentation regimes – follow with Remedy Rx. Synergistic with the 302 compound and Vitamin C.
Clarity: A powerful retinoid (Vitamin A) to be used sparingly on sun-damaged and heavily wrinkled skin or for skin that is congested by acne. Improves skin thickness and resilience, promotes visible blemish reduction, increases cell turnover and blood vessel formation, reduces waste buildup and clears skin congestion. Recommended for Aging, Acne, and Pigmentation regimes – follow with Remedy Rx. Synergistic with the 302 compound and Vitamin C.
C-Boost: All natural clear lipid, preservative free formulas incorporating an oil-soluble, stable form of Vitamin C, (THDCA), that delivers itself without rapid degradation or skin irritation as often occurs with pure ascorbic acid. Helps natural repair functions to restore skin damage from the environment and thereby reduce sensitivity to UV-A and UV-B. Clarifies, brightens skin, evens out tone, builds skin strength, reduces or eliminates deep-seated pigmentation problems, increases barrier function, smoothes and softens. C-Boost and Lightening Drops share similar profiles, Lightening Drops is intended for a more intense regime. Lightening Drops: All natural clear lipid, preservative free formulas incorporating an oil-soluble, stable form of Vitamin C, (THDCA), that delivers itself without rapid degradation or skin irritation as often occurs with pure ascorbic acid. Helps natural repair functions to restore skin damage from the environment and thereby reduce sensitivity to UV-A and UV-B. Clarifies, brightens skin, evens out tone, builds skin strength, reduces or eliminates deep-seated pigmentation problems, increases barrier function, smoothes and softens. Eye Firming Serum: A peptide based serum that can be used daily. Improves dark circles and the look and feel around the eye area. Eye Firming Serum plumps, firms, smooths and adds texture to the skin with sustainable results. Hypo-allergenic, non-comedogenic, non-irritating, essential oil and fragrance free. SPF-30: Broad Spectrum SPF-30. Light, silky feel, fast absorbing, 100% mineral block, all natural sun reflector. Easily spread, hydrating, self-preserved emulsion. Reflects sunlight via natural micronized minerals – zinc and titanium oxide. SPF-15: Broad Spectrum SPF-15. Light, silky feel, fast absorbing, 100% mineral block, all natural sun reflector. Easily spread, hydrating, self-preserved emulsion. Reflects sunlight via natural micronized minerals – zinc and titanium oxide. Recovery Minerals SPF-30: Broad Spectrum SPF-30 mineral powders in various shades for coverage and healing, especially for soothing red, irritated skin. Appropriate for any skin condition, improves moisture barrier, hypo-allergenic, oil absorbing – does not contain synthetic ingredients or bismuth oxychloride. Reduces appearance of irritated skin, protects and heals.TRANSLUCENT, for light to medium dark complexions, TAN for dark complexions. Remedy Rx: A natural, micronized zinc oxide barrier cream designed for raw, irritated, inflamed and chronically sensitive skin, as well as for burns, rashes, open wounds and skin sensitive to sunlight. Excellent for addressing visible signs of rosacea, dermatitis, following chemotherapy, radiation or a severe allergic reaction, and after waxing. Effective touch up for rashy acne spots and rough skin. Calms and soothes diaper rash. Evens out healing across affected area, reduces chance of scars, very well tolerated, safe around eyes. Enzyme Mist: A light, enzyme based formula that gently reduces comedones, reduces irritation and inflammation while providing outstanding antibacterial action. Excellent for Type 2 & 3 Acne or if congestion is a problem in Type 1 Acne. 302 Cleanser: Preservative free, ultra mild, low foaming, universal cleanser appropriate for all skin types. Effective for makeup removal or simple cleansing. Well tolerated by almost all skin conditions including rosacea and acne. Excellent to rotate days with any other specific skin type cleanser (such asNormal/Dry Cleanser) or Face & Body Bar. Normal / Dry Cleanser: Preservative free combination of skin cleansing and skin softening in a very mild base. Desirable activity results from low molecular weight avocado extracts that exhibit anti-fungal, anti-inflammatory properties. Moisturizes, soothes. Oily / Combination Cleanser: This preservative free cleanser works on a wide range of skin types to normalize the appearance of sebum output in oily skin areas and reduce the desire and need for frequent washing. Alternate with Face & Body Bar for best results. Sensitive Cleanser: Preservative free, ultra mild, effective, non-drying cleanser. Particularly useful for those who must wash several times per day. Alternate days with 302 Cleanser for best results. Acne Cleanser: A preservative-free acne cleanser that uses USP sulfur to normalize skin functions and stop acne. Best when alternated with Sensitive Cleanser Rx or Face & Body Bar. Face & Body Bar: An ultra-mild, skin-softening cleansing bar. Best results occur when used in alternate applications with a 302 cleanser appropriate to skin type or condition. A complete skin treatment in itself. Perfect for adolescent skin care. Calming Mist: Outstanding for anytime hydration. Works instantly. Excellent for immediate relief from itching. Soothes sunburned skin, calms irritated skin. Spreading agent of choice for the 302 actives. Moisturizing Drops: For everyday face and body moisturizing in a self-preserved, natural and organic lipid solution. Use anytime with Calming Mist or Calming Mist Rx to apply and enhance. Leaves skin dewy and fresh, non-comedogenic and ultra pure. Excellent for night-time moisturizing. Recovery Plus: A facial moisturizer – light, non-residual, effective lotion with a wonderful essential oil blend. This is an outstanding product for milder climates and mild skin dryness that leaves the skin perfectly toned without residual feel. Recovery Plus Intensive: A luxurious facial moisturizer – great for dryer, colder climates, where barrier protection and rich moisturizing are desired. No oily feel or tacky residue. Formulated for normal to dry skin. Body Treatment Intensive: A rich formula that is very substantive to the skin, provides immediate, soothing moisturizing with no residual tack or oily feel. Formulated for normal to dry skin. Body Butter: Rich and lubricious with organic ingredients for supple smooth skin. Apply after bath, during massage, or anytime to soothe, protect and condition and visibly improve skin all over. For an especially moisturizing feel during the dry months and to restore the natural look and texture of skin, Body Butter is the ultimate choice. Body Massage Oil: Emollient, far spreading massage oil with a non-greasy after-feel. Outstanding for hands, feet, elbows, knees and décolleté. Rich, luxurious feel from evening primrose and cocoa butter. Results are immediate and long lasting. Self Tanning Gel: Light, moisturizing self-tanning gel and mist that impart a deep golden brown tone with a pleasant natural citrus scent. These non-streaking, non-sticky, easy to apply solutions impart a long lasting skin tone using DHA with over forty years of documented safety. Rich tan, without yellow or orange tinting. Self Tanning Mist: An oil-free, light, moisturizing self-tanning gel or mist that imparts a deep golden brown tone with a pleasant natural tangerine & lavender scent. This non-streaking, non-sticky, easy to apply solution imparts a long lasting skin tone using DHA with over forty years of documented safety.